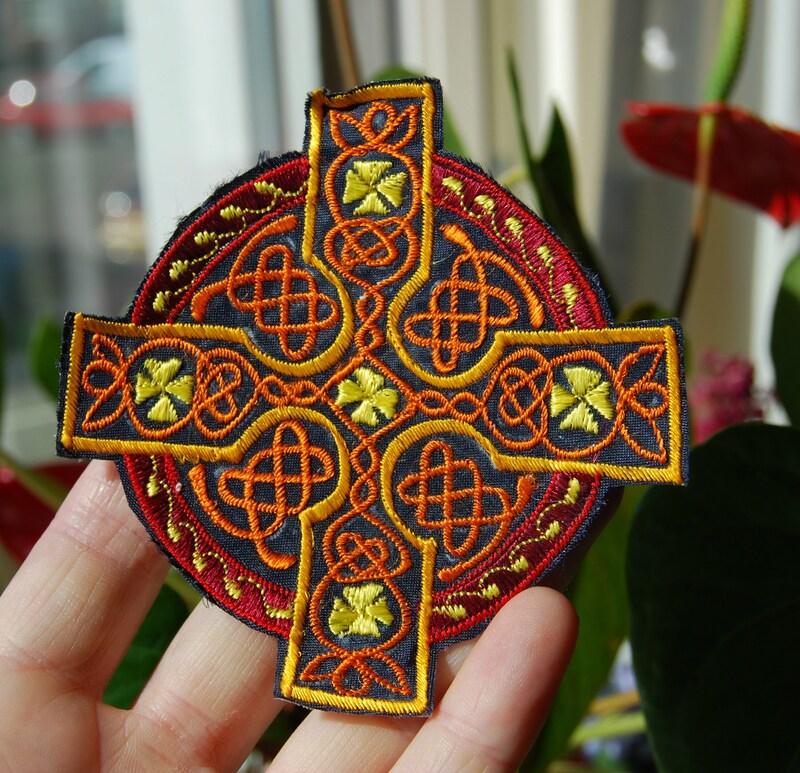 This is a unique embroidered Celtic Cross patch that you can sew to any garment. It''s perfect for jackets, vests, hats, jeans, backpacks etc. It's washable in the washing machine. It's handembroidered with a sewing machine, no computer used. 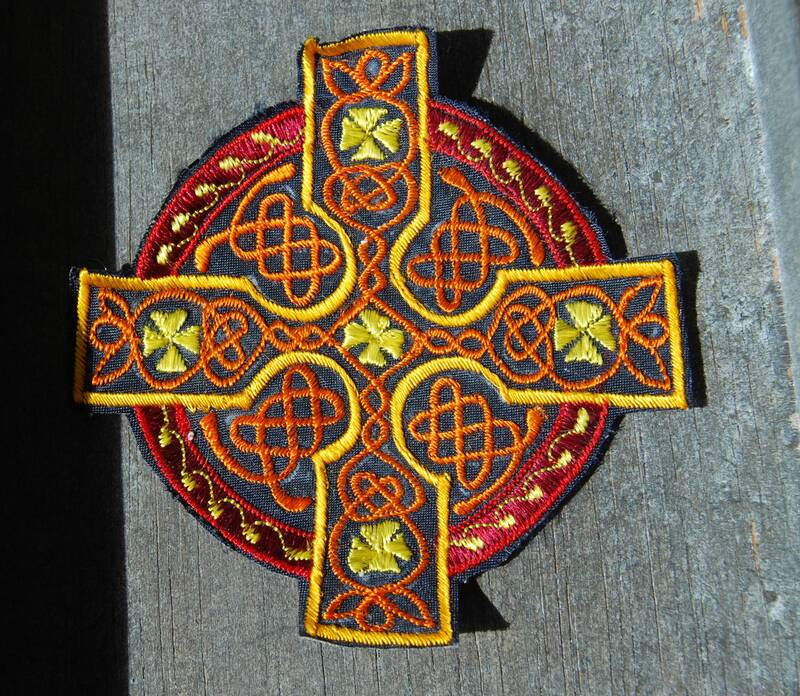 The symbolism of the Celtic cross (especially the equal-armed cross in which each protrusion is equidistant from the center) is indicative of the human desire to know and experience the unfolding mystery of life. We could say that mystery can unfold in a 4-fold pattern in which the arms of the cross offer four ways to ascension, an invitation to objectively know. The cross is a meeting of divine, universal energies. It represents the harmony and stability of powerful, sacred energies both seen and unseen in our universe. The cross also connects time navigation such as past, present, future and a place of 'no time'. Measures 3.66" / 9.3 cm.